Let’s say that you want to enter a new journal entry, but want to have it verified before posting. 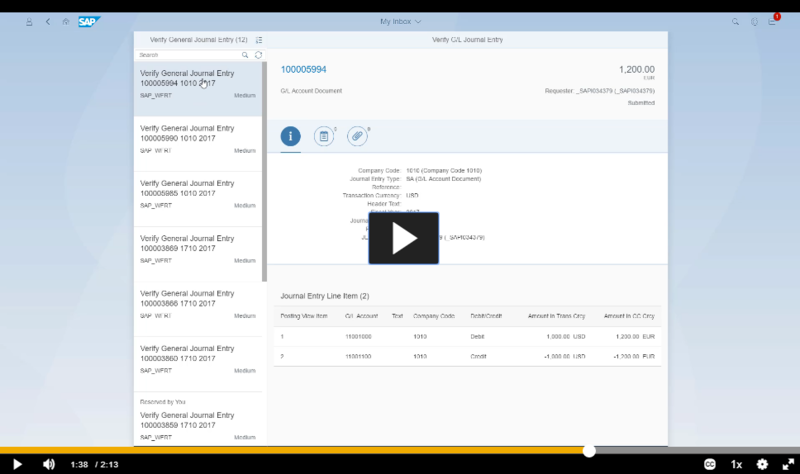 The Post General Journal Entries app in Finance in SAP S/4HANA Cloud 1708 supports an additional way for you to manage your workflow: Verify General Journal Entries. The new verify feature works for both requesters (like accountants) and processors. As a requester, the Verify General Journal Entries – For Requester app lets you create, display, copy, and edit a journal entry, and then submit it for verification. You can also track the entry status in the worklist and decide whether to edit a rejected journal entry and resubmit it for verification. As a processor who is authorized to verify general journal entries in the Inbox and Outbox apps, you can view journal entries that are assigned to you and are waiting for approval. You can choose to approve, reject, or suspend a journal entry, and then the system changes the status accordingly in the requester’s worklist. Please note that if you want to see the Verify General Journal Entries inbox and outbox apps on the Fiori Launchpad, your key user must configure the workflow for verification and define responsibilities to determine who is authorized to process the submitted journal entries. 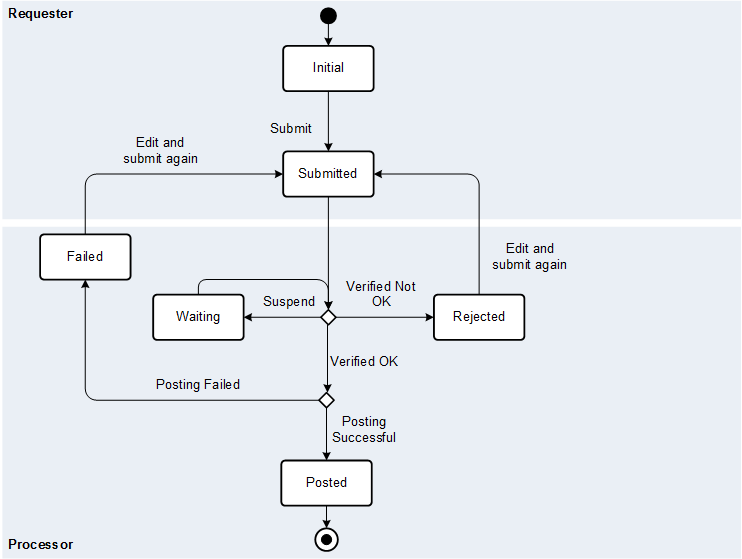 For more information about workflow configuration and defining authorization, see Prerequisites for Enabling Workflows.